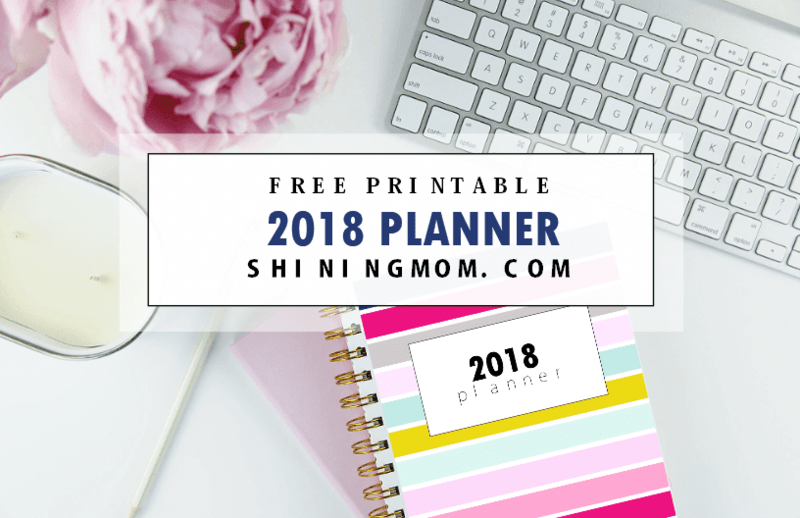 I am not an organized person by nature so am always trying to stay organized with a full time job, blog, two small kids with school and extracurricular activities - so here is a round up of free printable 2018 planner printables. 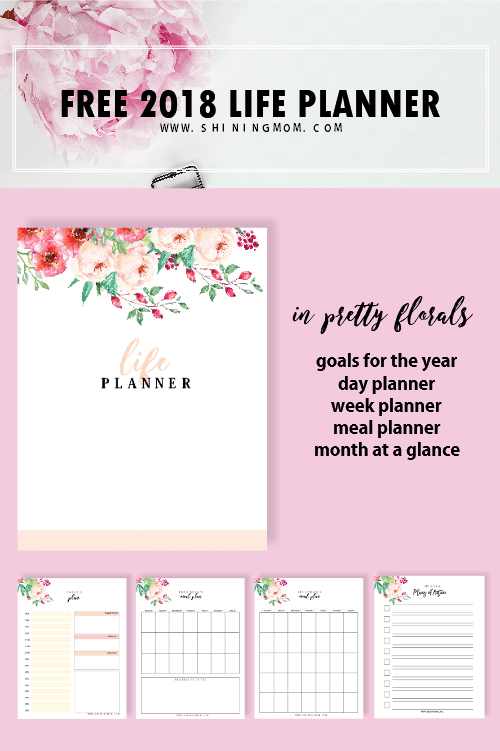 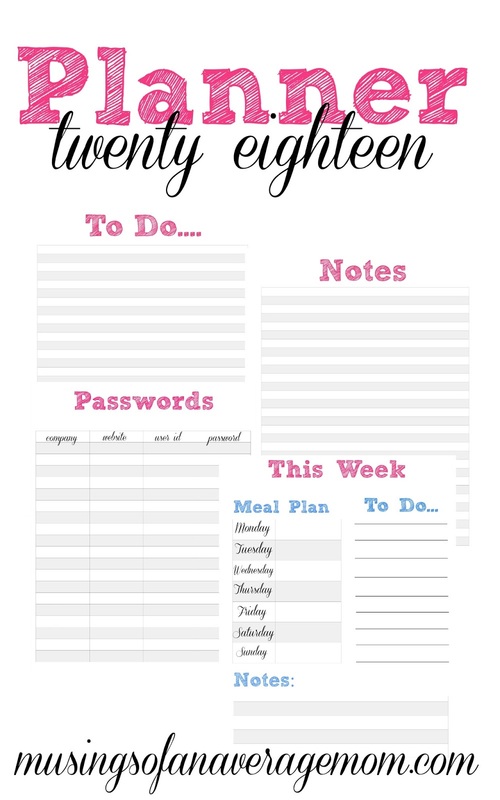 Get this free 2018 life planner from Shining Mom in pretty floral with goals, day weekly and meal planner and month at a glance calendar. 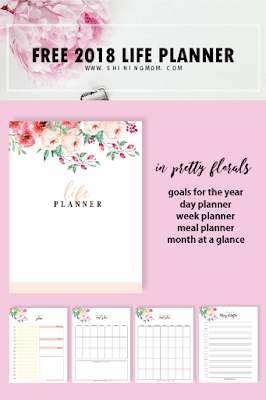 Handmade Home has a fantastic free printable A5 planner which includes: a cover (in three different options), monthly views for 2018, weekly page view (on two pages), birthday and anniversary pages, a menu planner, a weekly cleaning schedule, goal pages, divider pagers, to do lists and more! 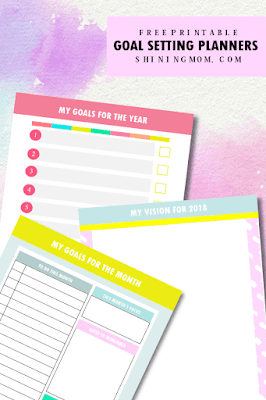 goal setting pages with monthly and yearly goals and more. 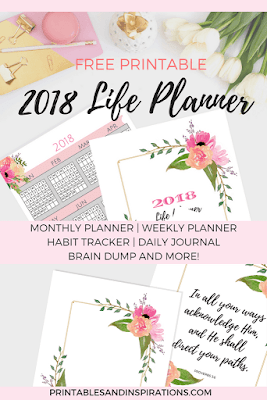 Free Printable Happy Kitchen 2018 Calendar and Planner - with 2 page 2018 calendar and overview, meal planner, grocery list, recipes and cover pages. Free 2018 planner with to do list, notes, cover, calendar, menu planner, password page and also a blogging planner as well. 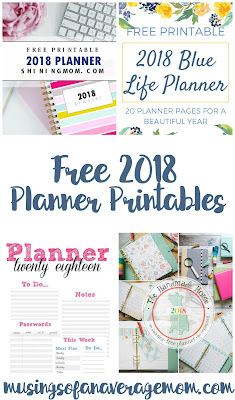 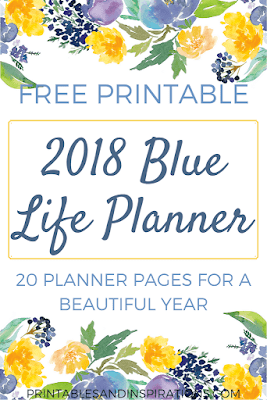 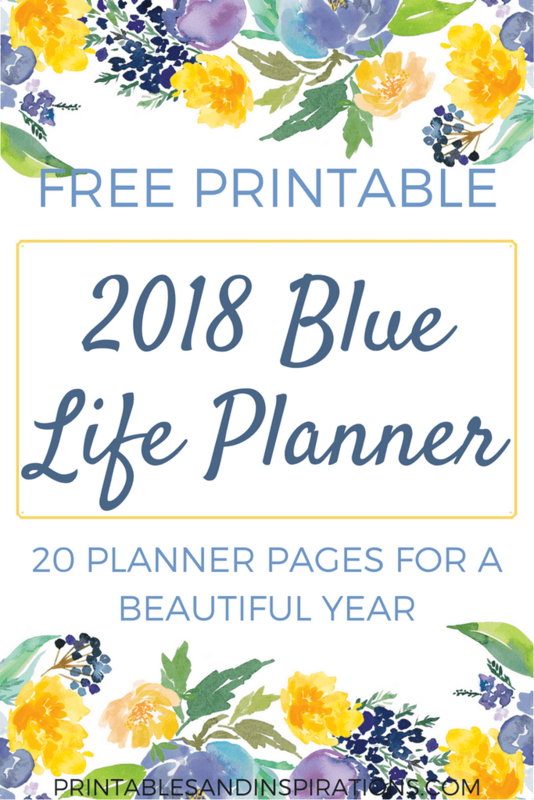 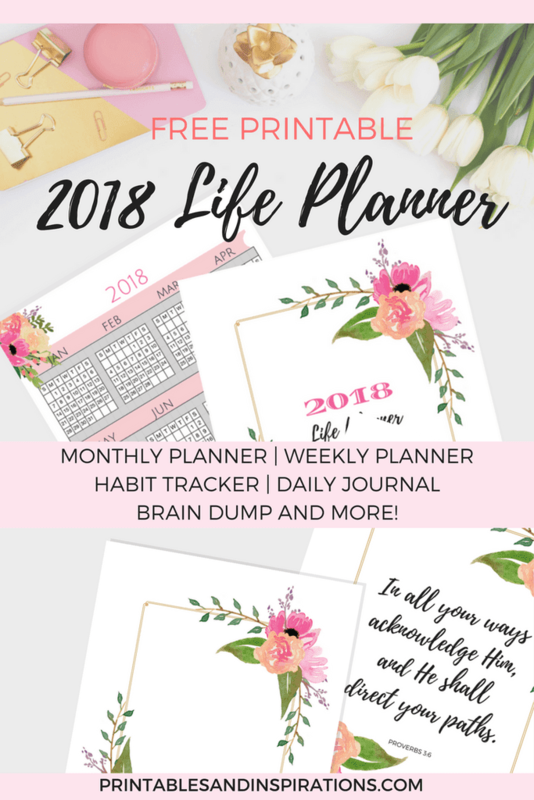 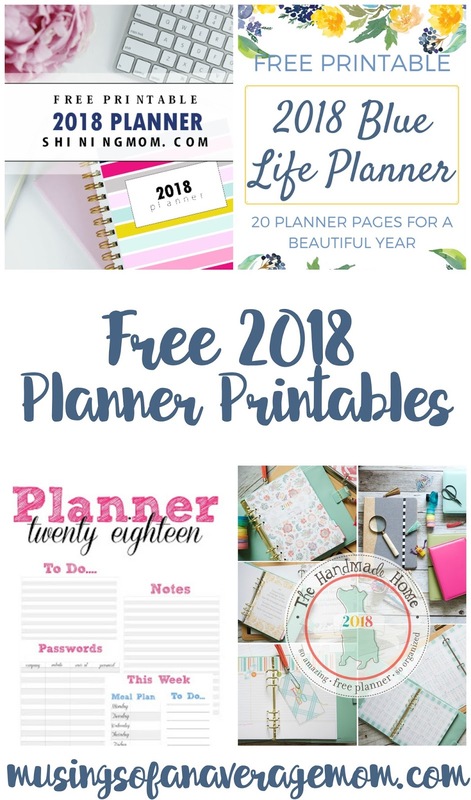 Get this free 2018 life planner from Printables and Inspirations which included 20 planner pages to organize your year.